This text focuses on the physics of fluid transport in micro- and nanofabricated liquid-phase systems, with consideration of gas bubbles, solid particles, and macromolecules. 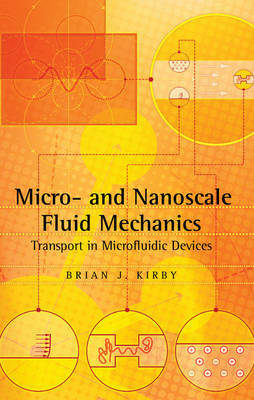 This text was designed with the goal of bringing together several areas that are often taught separately - namely, fluid mechanics, electrodynamics, and interfacial chemistry and electrochemistry - with a focused goal of preparing the modern microfluidics researcher to analyse and model continuum fluid mechanical systems encountered when working with micro- and nanofabricated devices. This text serves as a useful reference for practising researchers but is designed primarily for classroom instruction. Worked sample problems are included throughout to assist the student, and exercises at the end of each chapter help facilitate class learning.